A wedding, it turns out, is only the first rite of passage through which one must pass in their quest for happily married bliss. 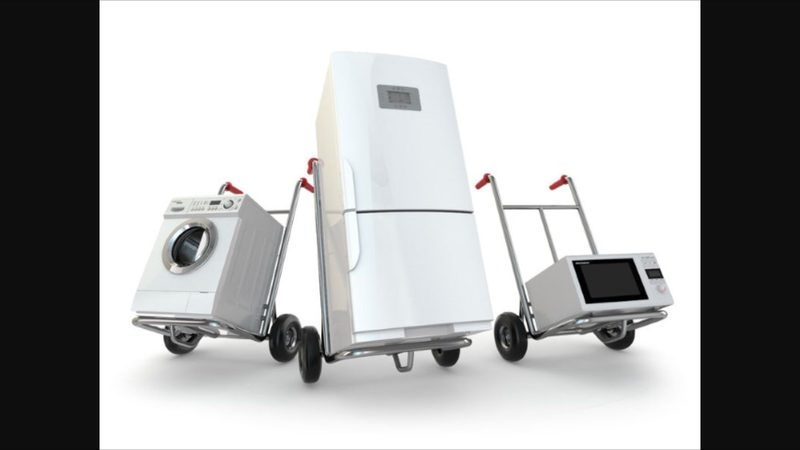 Because after the wedding, your washing machine is going to break and after that your husband is going to remind you that he’s wanted a new refrigerator for ages and if you’re getting one new appliance, you might a well get two. Never mind that the checks you received as a wedding gift were destined for better things, greater things, far more exciting things than grown up stuff. So last weekend we trudged out to Queen’s Appliance in King of Prussia for that oh-so-banal rite of passage: shopping for a new appliances. We were supposed to get a 30 minute heads up when the delivery men arrived a few days later. But they only gave us 10 minutes, and even though my mother was on standby to help me unload our old fridge because I still can’t lift anything, it takes 15 minutes to get from her home to ours (never mind the fact that the washing machine wouldn’t fit through the door…). Considering the number of doors she had to unscrew and sandbags she had to shovel (don’t ask) the word “clusterf*ck” would not be out of place here. Because I decided to do the right thing and register for PECO to come and take our old fridge to be recycled, the delivery men had to leave it in the middle of the living room because PECO won’t pick it up unless it’s indoors and you can prove that it still works. But of course I forgot to finish actually filling out the form so they still haven’t come yet and our home now looks like the set of Honey Boo Boo. And last night, to top it all off, PIC discovered that 2 bags of shredded cheese escaped my mother’s purge and had, in fact, been hiding out in the deli drawer of our old-and-no-longer-plugged-in fridge for the better part of what is surely one of the hottest weeks on record (yesterday’s heat index put us at 104 degrees). I can assure you the smell was delightful. By which I mean we’re probably going to have to sell the house now. Grandma, where were you the night Hillary Clinton got the nomination?